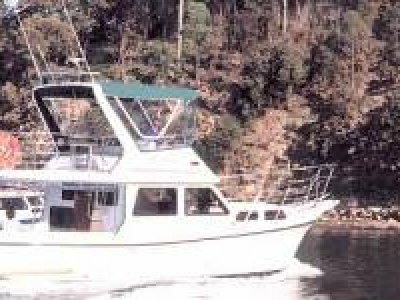 The first four of these new luxury cruisers including "Northern Light" & "Private Resort" have been launched and offer superior five star accommodation for 10 people. 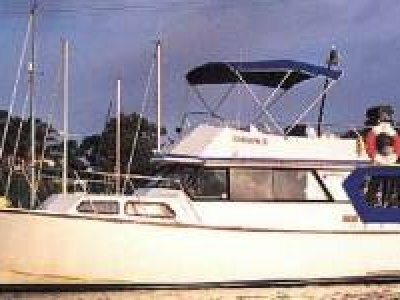 Featured are TV/DVD (or video), CD, BBQ, electric anchor winch, fridge, freezer, 1 bathroom, walk through transom with swim platform, 4 burner gas stove, microwave oven & a VHF radio for the boating forecast. 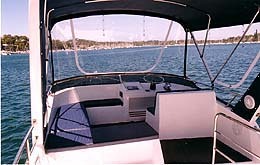 Another feature that really appeals to people is the extended flybridge, which covers the lower cockpit thereby giving all weather protection. With the drop down clears this second dinette area is even useable in bad weather. 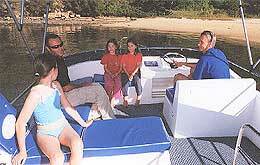 A diesel motor with two station upper and lower steering complete this delightful package. 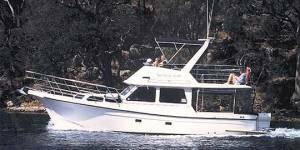 The chined hull ensures maximum stability and the ability to cruise Pittwater as well as the Hawkesbury. 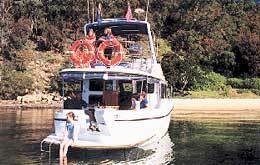 Houseboats are prohibited from entering Pittwater and none of our cruisers require a licence to operate. 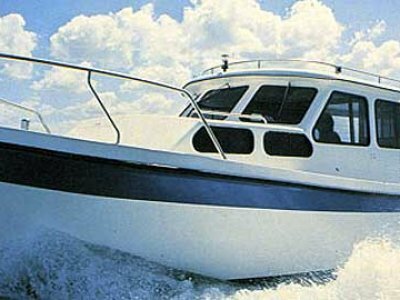 "Northern Light" was featured in a recent issue of "Modern Boating". 2 more new Resort 35 XLs due in 2005/6. 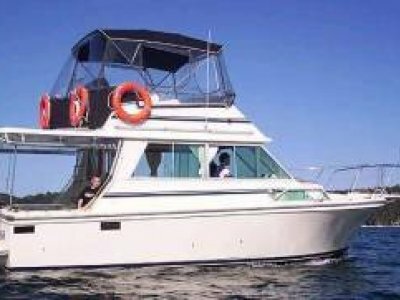 Remember - departure is from a floating berth with in house parking. 5 STAR accommodation at its best.